If you are looking for information on onpage content latent semantic indexing, you have come to the right place. Our team can offer you great information on the importance of LSI keywords. If you are unaware of OnPage Content Latent Semantic Indexing then you really need to read this article and become an expert in how to properly optimise your content. If you are new to online marketing and need help with training with the whole strategies visit this page for more information on SEO training. 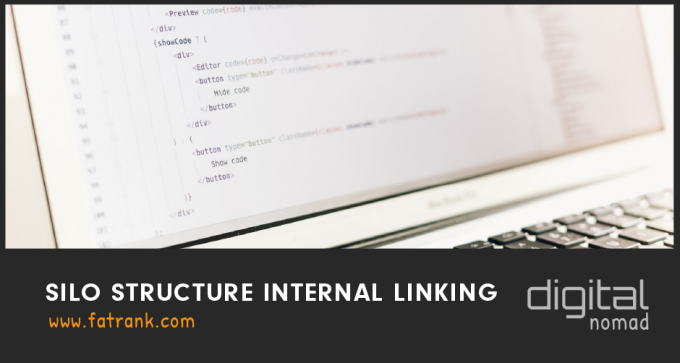 LSI is being used for SEO massively in April 2019 because is a huge advantage in helping your webpages to rank better. The latent semantic indexing keywords allow you to theme the topic of a page and assist you to rank for lots of various keyphrases. 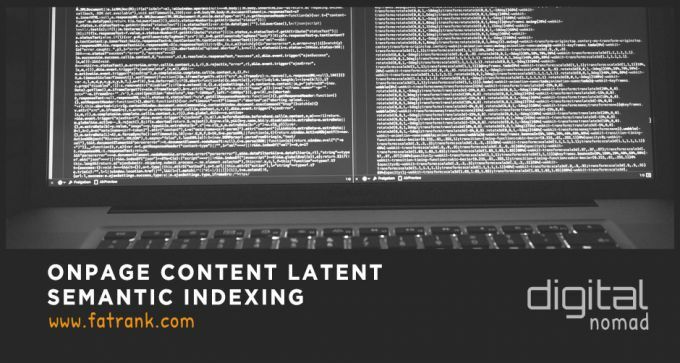 Latent Semantic Indexing (LSI) is an indexing and retrieval method that uses a mathematical technique called singular value decomposition (SVD) to identify patterns in the relationships between the terms and concepts contained in an unstructured collection of text. For an exact analysis on what LSI is visit wikipedia page here. It helps Google get the meaning of the written content. It also deals with search relevancy. Including LSI keywords with main keywords is SEO friendly. In earlier days, search engines used exact search query to get results. With this, search engines were not giving accurate results. Now, search engines analyze the meanings of the search queries. The content synonymically linked to the search query, are also returned. Google mainly carried out this to fight spammers trying to cheat the search engine by using keyword stuffing. Lexical analysis is the first phase of a compiler. It takes the modified source code from language preprocessors that are written in the form of sentences. The lexical analyzer breaks these syntaxes into a series of tokens, by removing any whitespace or comments in the source code. The lexical analysis is the term for LSI which google uses to cluster words together which means the same thing. Why do I personally feel that this onpage method of grouping keywords is vital in the future of search engine optimisation? This is simply because Google is applying over optimisation penalties to millions of websites. Many of you will not even know you are receiving this penalty which could just be a drop of several rankings in the SERPs. However in some circumstances this could mean millions of pounds of revenue lost. In order to improve your on page SEO strategy, you should be swapping some of your most used keywords for LSI words instead. This prevents Google Hummingbird from penalising you for keyword stuffing. It also shows Google that your site’s page is a quality result for the user. Make sure that you don’t completely remove your target keyword from the page. This will have a negative effect, simply use other synonyms to bring your keyword density down. So the best techniques is repeating your focus keyword several times in the content. But after this, start to use latent semtantic indexing variations. e.g. After repeating BEST several times then start to use top, premium, finest, great, amazing and LSI alternatives. Keyword Density is a term which refers to the percentage of times a certain word or phrase appears on a page when compared with the total number of words. This metric has changed drastically in the past 6 years from what has been taught. 6 years ago I clearly remember people telling me to just place the focus keywords into the content 5-7 times. This will be great for helping your rankings because repeating it makes Google understand what this page is talking about. Year on year the suggested amount for repeating the keywords has dropped from 5% to 3%. Now many big influencers in the SEO world are saying your keyword density should be around 1%. This seems insane but it is very true and from plenty of testing I have to agree. So how the hell can you keep your keyword density percentage down to 1%? This is where LSI variations of key phrases come into play. If you want to rank for a key phrase which contains the word ‘NEW’ then use variations within the content like newest, latest. Even try when possible to get wording in like just out, modern, current etc. These are all within the group of key phrases that Google is setting up. Use http://www.thesaurus.com/browse/new and edit the keyword to your niche and check the densities of your pages and whenever above the 1% try to look to see whether other synonyms of that word can be used because this will certainly help you with the ranking factors and keep you away from the partial google penalties carried out by Panda. If you want to check the keyword density of a certain page or piece of content, enter it into this tool – http://tools.seobook.com/general/keyword-density/. This will help you see where you may be over optimised on certain keywords. It can also show where you could swap them for LSI words which have the same meaning. As well as thinking about which keywords and phrases to target with your on page content, you also need to think about the types of words and phrases that you want to include. This means you need to decide what the purpose of that page is, and what it does for the user. Is it purely there to provide information about a topic? Or is it there to get people to enquire and buy a product or service. Take a look at this post which explains the three main types of keywords for on page SEO and how to use them. Be one step ahead and make sure to put your OnPage Content Latent Semantic Indexing strategy into practice. This can help you benefit from the best rankings possible in the SERPs. You will hear SEO is Dead plenty of times in your career but take this with a pinch of salt. It will never be dead but will certainly change and need you to adapt your strategies. Make them suit the latest algorithms but using LSI will certainly keep you a step ahead of the game. 1.1 What is Latent Semantic Indexing? Hi James, thanks for linking out to my post on LSI keywords. BTW, I use your FatRank Chrome Extension everyday, it’s handy. All the best. No problem on the linking out because it was a great source for information. Take care and hope you are doing well? Our aim to explain and educate from a basic level to an advanced on SEO and Social Media Marketing. What Influencers Say About Delegation?